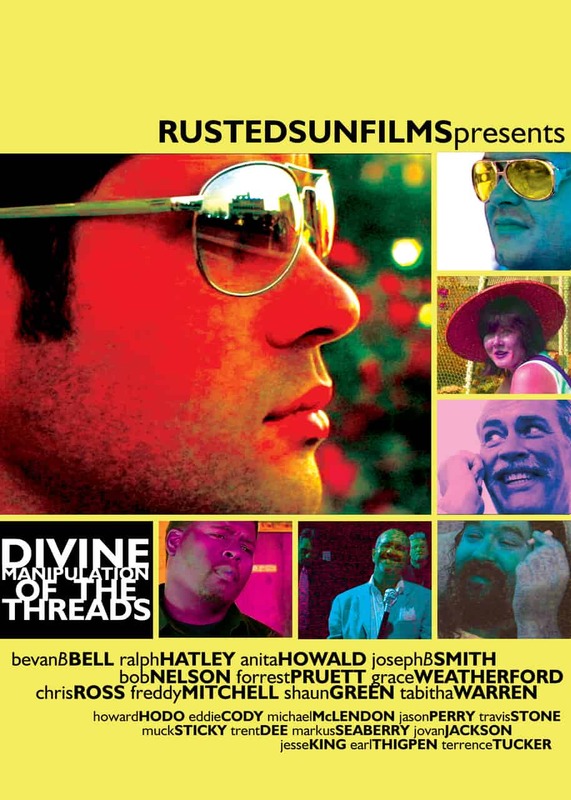 This page is dedicated to the archive of my second feature film, Rusted Sun Film’s DIVINE MANIPULATION OF THE THREADS (2006). ABRAHAM ASHLEY is a small time con man with debts and baggage that he wishes to leave behind. Through a choice meeting, his luck is changed through a drunken conversation with an investment banker known as ‘THE GUITAR MAN.’ With Ash’s local connections, ‘POOCH’ and ‘MRS. MIFUNE’ the foursome set out to hijack $70 Million from a bank exchange that involves the Federal Reserve Bank of St. Louis (Memphis Branch). Several obstacles and old acquaintances stand in the way of the mismatched group of thieves’ ultimate goal. A former heist partner, TRACY ADAIR, and his muscle, KONG KONDITSIOTIS, have every intention of leeching onto the prize at any cost. IAN THE FIST and his steadfast bodyguards are also on the trail of Ash’s new gig and have every intention of collecting the fees of an overdue loan. Through a colorful cast of additional characters including pulp names such as STONE FREE JOEY, THE DUKE OF EARLE, PRINCE PAUL, and MARGARET THE TROPHY WIFE the story weaves a clever tale of comedy and gangster scare tactics exposing how something so impossible could be pulled off by a collective group of idiots.